Sitting on the kayak, a small sport boat with one or two oars in hand, we are surfing on the bobbing wave, weaving between caves and rocks imbuing the thousand year moss to explore the many wonders and beauty of a famous world natural heritage site. 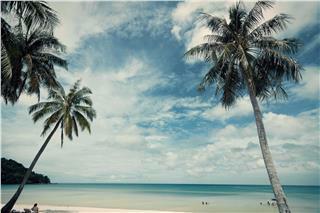 Luxury Bai Tho Junks brings us far away from Bai Chay tourist wharf, overlooking the waters of Luon Cave. 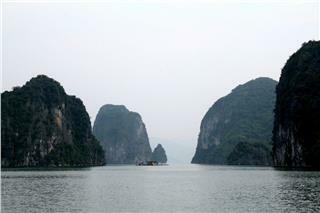 Along with our cruise, there are 3 other Bai Tho Junks toward Luon Cave in the same journey. These yachts are designed as antique wooden boat of East - South Asia fishermen. On top of the boat and the prow are brown bat sails, which distend sea breeze. On the kayak with small oars, we have a chance to explore rocks, bays under the guidance of the tour guide. 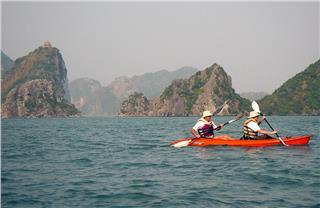 Normally, kayaking travel programs are built by travel companies on Halong Bay Cruise. This program is integral to all of travel operators with a moderate service expense. A big and professional yacht always carries nearly two dozen of kayaks on the roof of the deck, both sides of the yacht or are accompanied behind to serve the need of tourists. 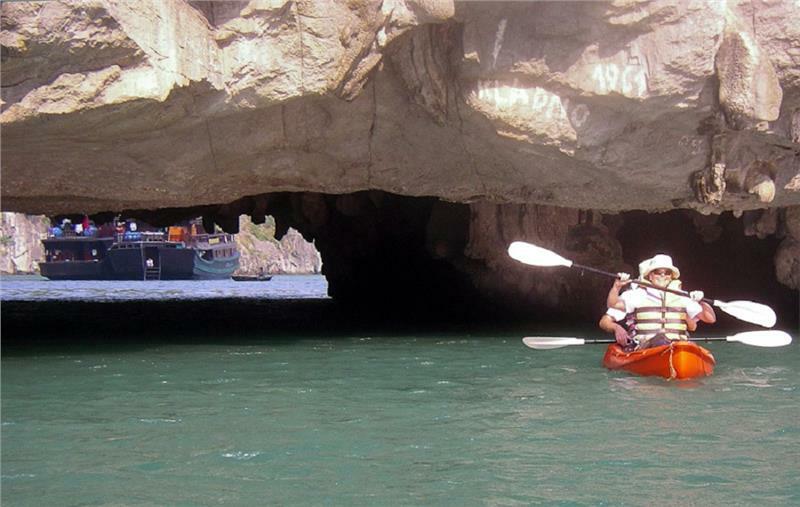 After visiting the caves and gulf scenery, depending on tourists’ need, kayaking program to be held soon or late; however, it is usually put into operation in the early afternoon when tourists had rested and relaxed after lunch. Boating areas are beautiful and unspoiled bays and far away creeks of commuter trains. 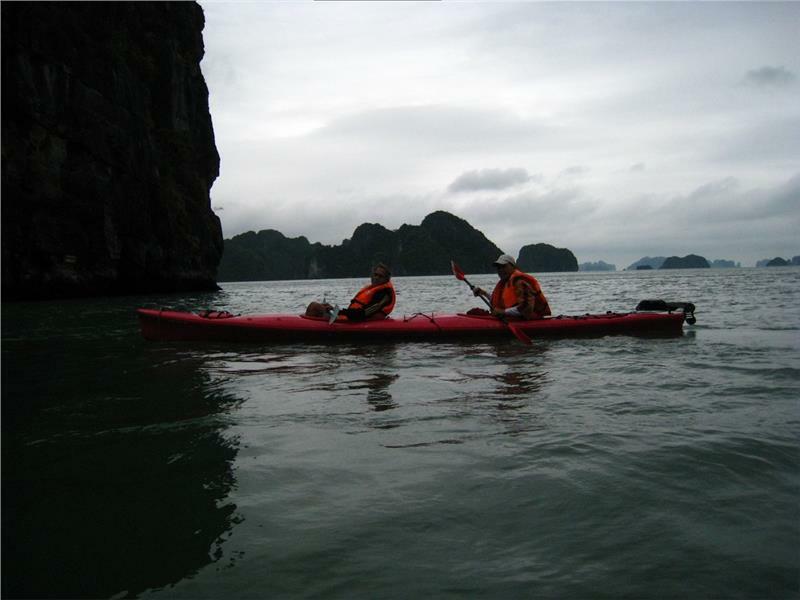 Tourists who had once tried to kayak in Halong Bay have actually become enamored with the type of sport tourism with the thrill they experience. The sea here is always fairly calm and clear blue as a lake on the land with green monumental cliffs shadowing on the water. 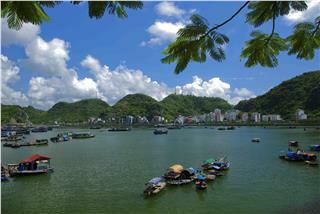 Along our trip, we met many European tourists sitting on kayaks with red skin by the sun and wind of Halong Bay. With their cheery smile on the face, they surely had an interesting exploration. Kayaking close to Bo Hon cliff, we just discovered cave entrance adjacent the water's edge with a bow-shape opening at the foot of the island. Platform of the cave is submerged in water stretching about 20 meters through rocky islands with the average height of 5.1 meters and 9.8 meter width. 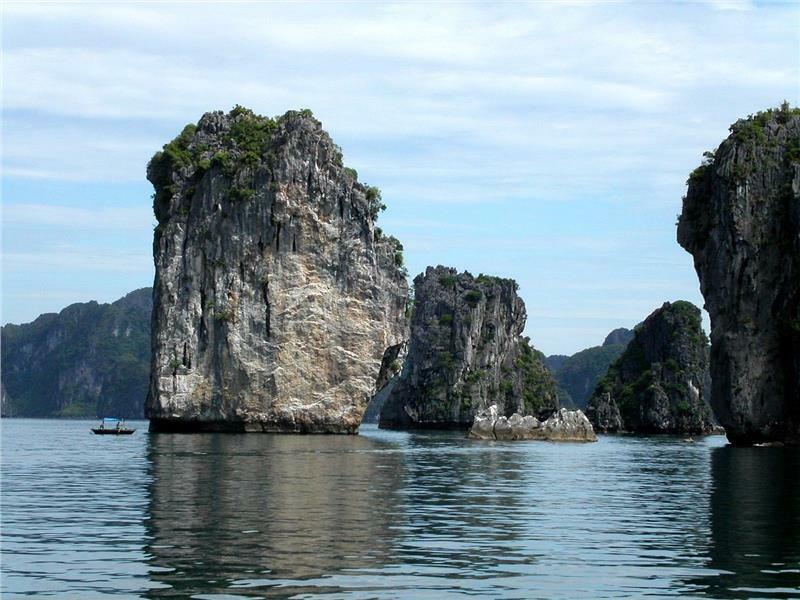 Luon Cave in Halong Bay tourism is a typical carte stone structure form with horizontal convection retaining precious values on geology and aesthetic. The cave is formed from the erosion of sea water with the trace of molluscs that have still remained on the dome of cave ceiling. There are two symmetrical doors across the island center, so Luon Cave space is pretty open and cool. 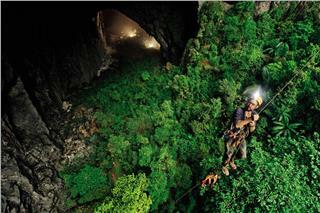 In addition, inside of the cave entrance is a salt water lake with an area of about 3 hectares. All four sides of the lake are enclosed by high and precipitous cliffs, along with untouched woodlands. Besides, the most attractive and alluring landscape of the rocky island in Luon Cave is natural scene with the combination between the mountain shape, blue water and the blue sky. 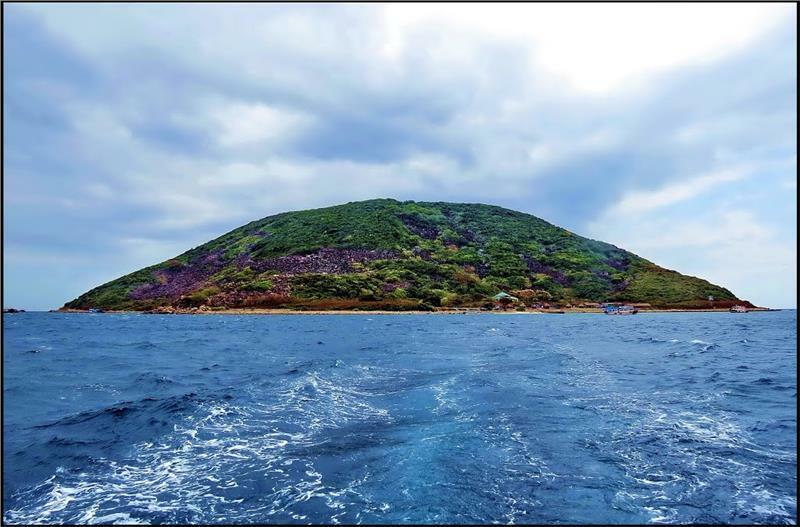 The middle of the island is a rocky peak looking like a spear toward the sky. Admiring these stunning perspectives, we actually seem to be lost in a dreaming world, which is far differing from the hustle and bustle urban life. 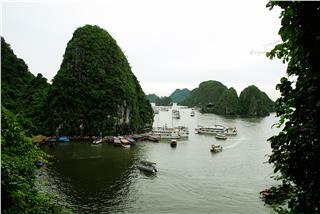 Halong Bay has for a long time been well-known as one of the wonderful bays in the world. 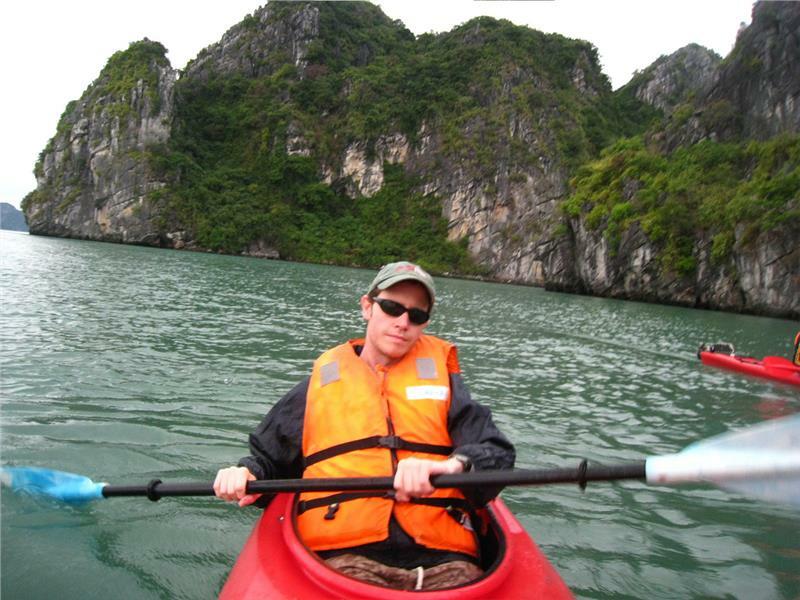 Kayaking in Halong Bay is actually a perfect way to explore this stunning homeland of the sea and islands. 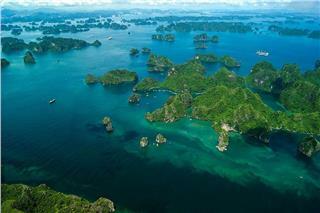 The service of Halong Bay seaplane becomes popular. The fee for a seaplane tour is not cheap. Yet, there are ways to enjoy the spectacular aerial Halong Bay view with affordable rates, which will bring unforgettable memories in your trips. Halong Bay, one of the most outstanding natural world heritages, is seen as amongst the most beautiful parts of South East Asia. 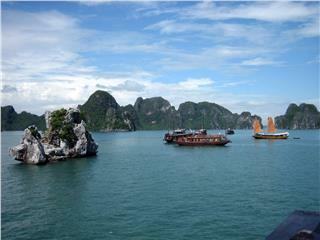 Traveling Halong Bay in summer will be worthy vacations. Extra SD cards will be necessary to save wonderful scenes in the bay. 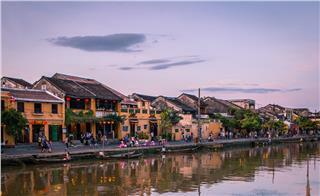 Vietnam has long been the popular tourist addresses on the world tourism map attracting numerous tourists. Discovering 5 following beautiful rendezvous in Vietnam will definitely leave unforgettable impression in the journey to the charming country. Bai Tu Long Bay is actually an ideal rendezvous for beach lovers with attractive marine eco-tours and wonderful natural beauty of stunning beaches. 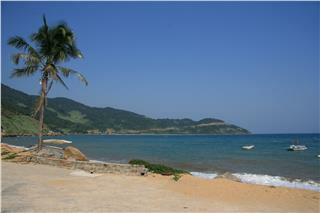 Cua Lo is among beautiful beaches in Vietnam. Not only deep blue seawater, the beach also offers the diversity of many interesting services and activities. Squid fishing at Cua Lo beach has become a favorite service. 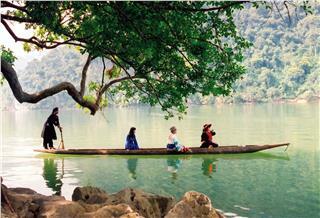 Located in the Northern Vietnam, Ba Be Lake is praised as a fairy lake among mountains. It is lucky to have the opportunity to contemplate the picturesque beauty of one of the most wonderful sceneries in Vietnam. 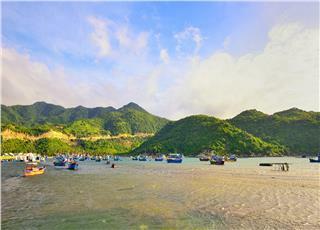 Cat Ba Island is truly an ideal destination to explore the beauty of nature and enjoy seafood which still keep intact flavor of sea. 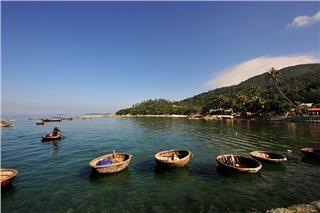 You can also experience activities like sailing kayak, cycling round foothill and climbing mountain. 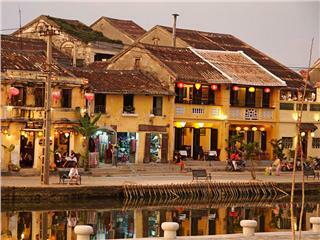 Visiting Bat Trang ceramic village was truly our best decision. 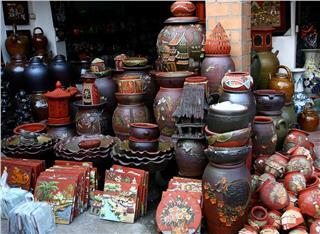 Not far from Red River, the village is home to a plenty of unique and high-quality ceramic products which are preferred by both domestic and international tourists visiting here. 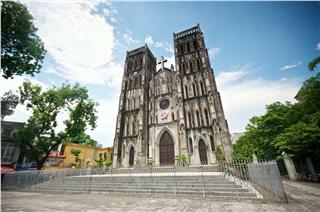 Located in Hoan Kiem District, Hanoi, St. Joseph's Cathedral is not only considered one of the most important churches of Catholicism in Vietnam, but also one of the first unique Western religious architecture in Hanoi. 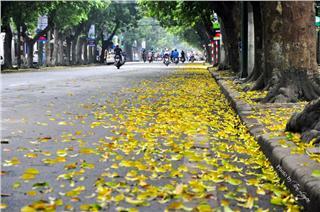 Hanoi autumn has for a long time allured many domestic and foreign tourists. Once going here, I am actually attracted with its stunning beauty and the romance of a thousand year capital. 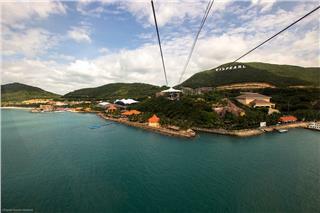 Nha Trang has long been renowned as one of the most attractive destinations in Vietnam tourism. The charming natural scenery, temperate climate together with interesting sights, and islands with pristine beautiful beaches strongly attract tourists. 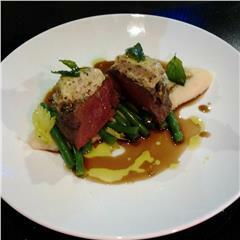 Mui Ne is well known for not only charming landscapes but also for cuisine. Capriccio is truly an ideal restaurant for those who want to enjoy Italian food in Mui Ne while contemplating the beauty of beaches here. 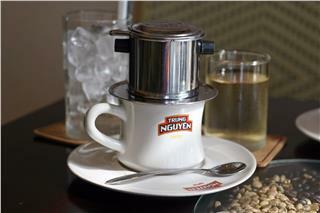 Fansipan is a peak of Hoang Lien Son Mountain Range, as well as the highest peak of Vietnam. 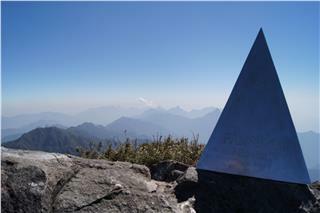 This is also the highest peak of three Indochina countries - Roof of Indochina. 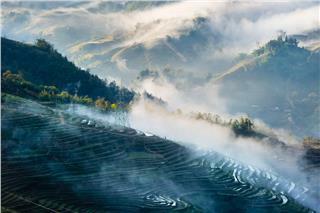 The mount is one of famous attractions in Sapa. In recent years, Da Nang is a favorite destination in Vietnam attracting a large number of tourists, especially during autumn and winter. 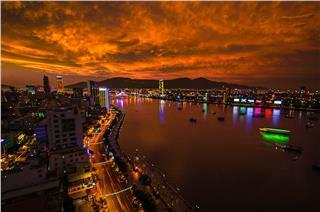 To support tourists in having a smooth and unforgettable vacation, AloTrip recommends some Da Nang travel tips. Mui Ne is a wonderland of all kinds of foods over the world. 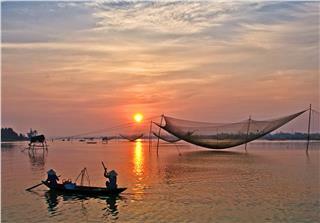 Restaurants of any culinary style from the East to the West made Mui Ne cuisine. 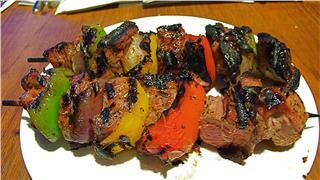 Kebab is extremely favored here and Sindbad restaurant is an ideal place to try it. Summer is coming. Have you thought about a summer vacation for your family and friends, yet? The following marvelous Vietnam beaches will be top choices to enjoy the traveling season with series of interesting experiences and explorations. 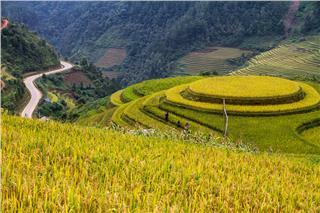 Sapa is seen as the second Dalat in Vietnam with four seasons in a day. 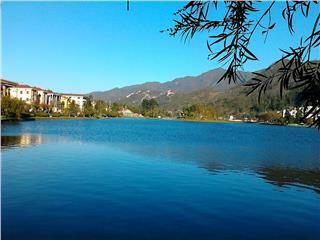 By dint of that, Sapa is bestowed with wonderful landscapes and ideal climate. 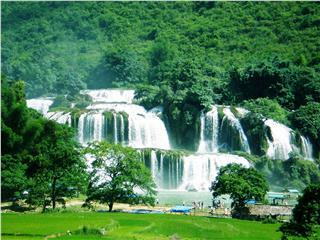 Sapa tours always bring interesting and memorable experiences to travelers.